The 9-day "Sultan Mela" is set to begin from tomorrow (Sunday) in Narail to mark noted artist SM Sultan's 94th birth anniversary. The fair will start at Narail Government Victoria College's Sultan Moncho premises. Khulna Divisional Commissioner Lokman Hossain Mia will inaugurate the 9-day fair on Sunday morning. SM Sultan Foundation and the District Administration will jointly organize the 9-day fair. The 9-day fair comprises seminar, local sports, photo exhibition and discussion on distinguished persons of Narail. Sheikh Mohammed Sultan, popularly known as SM Sultan was born on August 10, 1923, was a Bengali avant-garde artist who worked in painting and drawing. His fame rests on his striking depictions of exaggeratedly muscular Bangladeshi peasants engaged in the activities of their everyday lives. 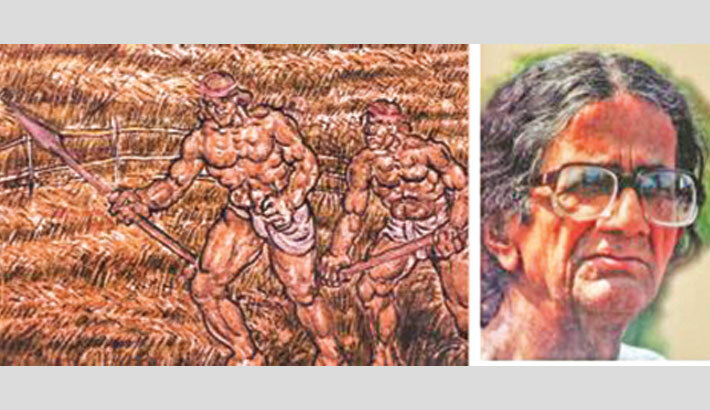 For his achievement in fine arts, he was awarded the Ekushey Padak in 1982, the Bangladesh Charu Shilpi Sangsad Award in 1986 and the Independence Day Award in 1993.